State of Maryland health officials buried the remains of approximately 800 people at a ceremony in Carroll County Monday, a formal honor for people who voluntarily donated their bodies to benefit state scientific research, or those whose remains were never claimed by loved ones. 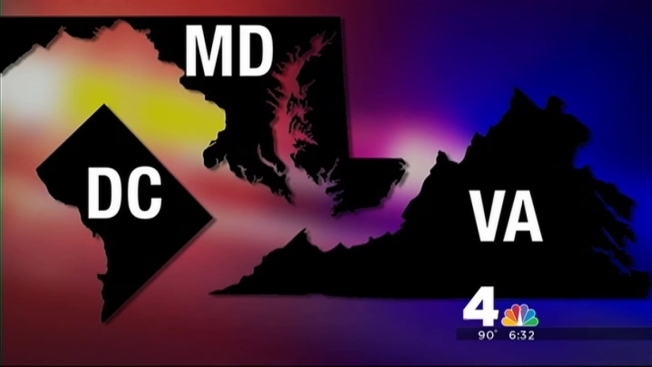 A recent investigation by the News4 I-Team found sizable increases in the number of people whose bodies went unclaimed in Maryland, Virginia and Washington, D.C. The Maryland State Anatomy Board, which released records showing a 100 percent increase in “unclaimed” and donated remains since 2000, cited economic struggles for the surge. “There are families, because of circumstances, who don’t have the means to do pretty much anything," Ward said. Virginia has experienced a 33 percent increase in unclaimed remains over the past year, according to documents reviewed by the News4 I-Team. The District's “unclaimed” remains jumped from 62 cases in 2010 to 97 cases in 2011. Taxpayers are ultimately paying for the handling of those remains. Financial records obtained by the News4 I-Team show Maryland officials spent approximately $224,000 to handle hundreds of unclaimed and donated bodies between October 2012 and October 2013. Charlotte Gibbons, a Queen Ann’s County woman who died in 2013, was among those honored at Monday’s memorial service. Gibbons voluntarily donated her body to scientific research before her death. Gibbons' granddaughter, Penny, said the ceremony is a dignified tribute to the hundreds of Maryland residents who agree to give their bodies to medical research. “This is the only funeral that she’d [otherwise] have," she said.